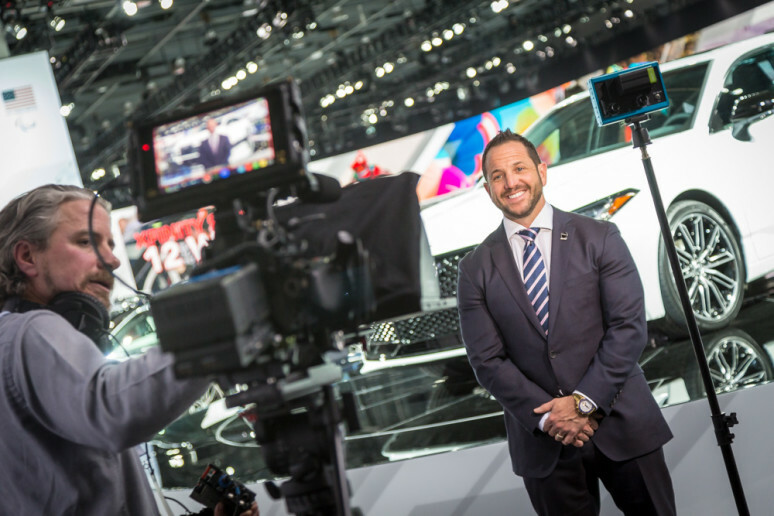 For Ryan LaFontaine, success could mean becoming the nation’s No.1 car dealership, the youngest chairman of the North American International Auto Show, or receiving many prestigious business awards. While he has accomplished these things, success to him means beating cancer, having a cherished wife and a thriving family. To this humble businessman, it is defined by a strong faith in God, family, and friends – in that order. I grew up with my family on Duck Lake in Highland, Michigan. 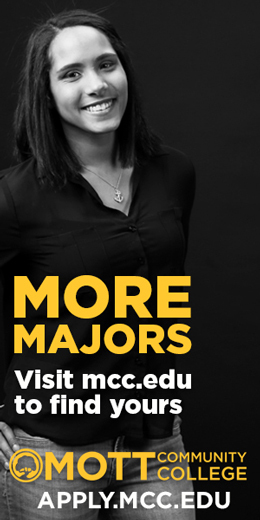 I attended Our Lady of the Lakes High School in Waterford and graduated from Northwood University in Midland with a Bachelor’s Degree in Automotive Marketing & Business Management. I started selling cars at 15 years old and worked in every department at the family dealership. At 21, I had worked my way up to the position of sales manager at our flagship GM store in Highland. One day, I asked the zone district manager how we could become the nation’s No. 1 sales volume dealer, and after he stopped laughing, he said, “Ryan, you need to aim lower. You’ll never become number one out of Highland, Michigan.” I took that challenge to heart and used my passion to grow our sales and prove him wrong. 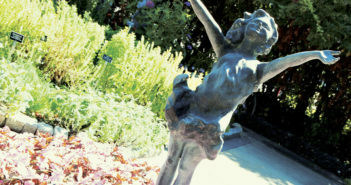 Ten years later, in 2009, LaFontaine achieved the prestigious honor of being the world’s No.1 Pontiac dealer. We’ve been the No.1 Buick dealer five of the last eight years, and Top 5 for Cadillac and GMC since 2009. For the last six years, we’ve earned GM’s highest honor – Dealer of the Year – in all three divisions. When I finished college in 1999, we had just acquired our third location. 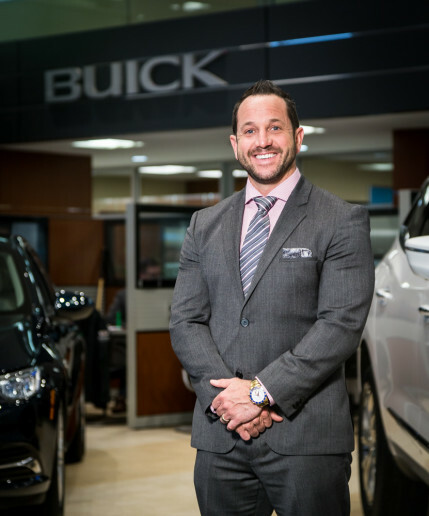 In 2008, I became Chief Operating Officer of LaFontaine Automotive Group, which now includes 21 dealerships. My parents are Michael and Maureen LaFontaine. My father began his career in 1966 selling Volkswagens, and in 1980, opened our first store – a Toyota dealership. My mother became involved with the business in 1984. My parents gave us a great opportunity with what they so passionately built, and are still actively involved. Their philosophy of treating customers and staff like family inspired our slogan “The Family Deal.” My sister, Kelley, is my right hand in the business. We collaborate and learn from each other every day. My wife, Wendi, is my angel and soulmate. I feel grateful to share my life with her and our “Fab 5” – Landry, Larkin, Alexanndra, Madden and Monroe. God gave me these blessings so I’d never lose focus on what really matters in life: faith and family. First, I’m a cancer survivor. This year is my tenth anniversary of being cancer-free. In March 2008, I was diagnosed with Hodgkin’s Lymphoma. I was 30 years old and thought I was on top of the world, never missed a day of work for illness – then, one day, I woke up with cancer. The hardest thing I ever had to do was tell my dad that his son had cancer. I learned that adversity defines your character and it’s sometimes through adversity that God brings you what you need. He brought me my beautiful wife and children, who are truly my greatest achievement, and I’m thankful for them every day. My parents – they’ve taught me so much. I’ve always called my mother “Madre.” She has the heart of a fighter. I get my passion from her and have learned so much by her example. My father taught me to remain humble through success and to always give back. I’m the man I am today because of them. My parents taught us very young the importance of giving back, and it’s vital for us to support the communities that have supported us. My sister and I started a 501c3 nonprofit, the U CAN-CER VIVE Foundation, and have raised over $2 million – 100 percent of the profits go to cancer research projects at many amazing Michigan hospitals. I run my life and my business with my heart and my passion. I value my integrity and I try to be generous. I love playing outside with my kids and date nights with my wife. We enjoy going to football games and car shows. We’re a very active family. Having grown up on a lake, I love boating, being in the water and outdoors. We live in Fenton on Silver Lake and enjoy the Silver Lake Ski Team, and all the family-friendly activities in Fenton. LaFontaine Automotive Group has 1,300 phenomenal employees and we hope that number continues to grow. We treat our staff like family, continuing my parents’ legacy. My goal is to also raise $1 million a year for the world of cancer – we currently raise about $500,000 a year. As we continue to grow our business, I will remain focused on my core values of faith and family. This year, Ryan LaFontaine was honored to serve as chairman of the North American International Auto Show, the youngest in its 111-year history.